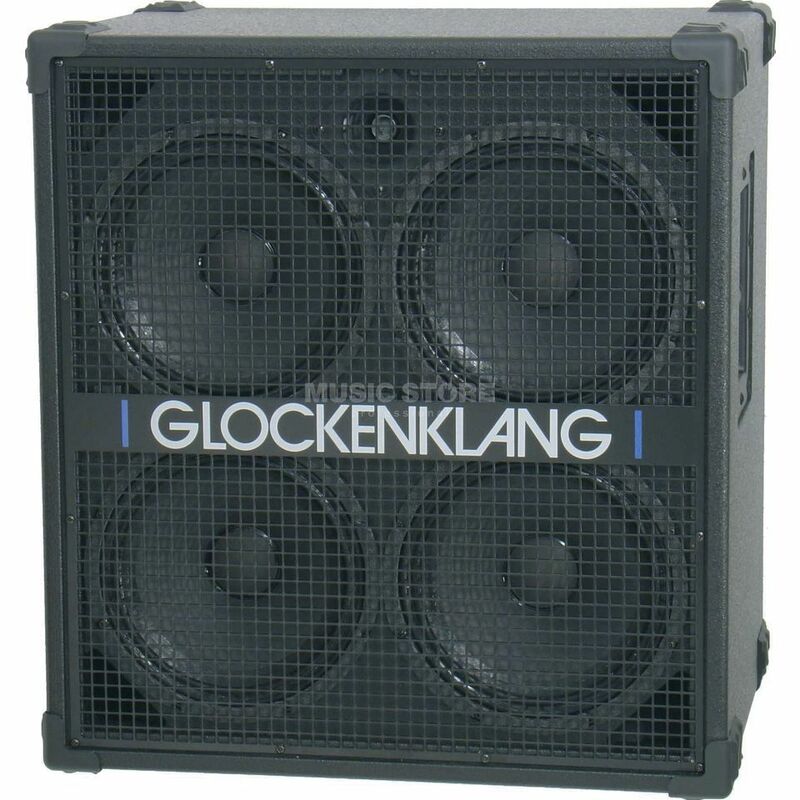 The Glockenklang Quattro 8 Ohm Bass Guitar Amplifier Speaker Cabinet has been designed to replicate the tones of any bass and amp head combination in the most accurate way possible. The Glockenklang Quattro is equipped with a set of four 10” speakers that have been specially developed by the English company Volt along with an adjustable high frequency tweeter. These speakers feature outstanding sensitivity and low-end response and are rated to handle 800 watts at 8 Ohms. The speakers of the Glockenklang Quattro are housed in a heavy-duty Birch ply cabinet that is finished with a durable epoxy coating and is lined internally with studio-grade acoustic foam. This setup stops unwanted tones and frequencies from escaping the cabinet and results in a much more focussed output. The cabinet is equipped with a pair of side mounted carry handles and locking corner protectors.